Is your Bathroom Exhaust Fan squealing, squeaky, or noisy when you turn it on? Does it sound like something hitting or rubbing? Most likely you do not have to replace anything. Cleaning, adjusting, or lubricating your bathroom ceiling exhaust fan will usually fix the problem. 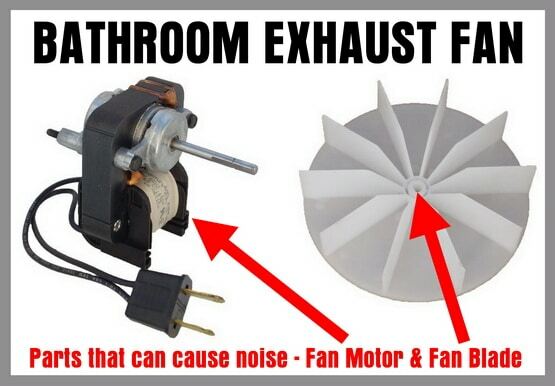 Here is how to stop a bathroom exhaust fan from making loud noise. Many noisy bathroom exhaust fans DO NOT NEED TO BE REPLACED… Most of the time the vent housing is simply full of dirt and dust. The dirt and dust accumulate over time and can cause the vent to make loud or vibrating noises. Other times it may be that the fan or blower wheel that spins and expels the air out of the bathroom is out of adjustment and hitting the side of the exhaust housing and thus causing the loud sound. This guide is for stopping the loud sound your bathroom exhaust fan is making WITHOUT REPLACING THE FAN, BLOWER WHEEL OR HOUSING. 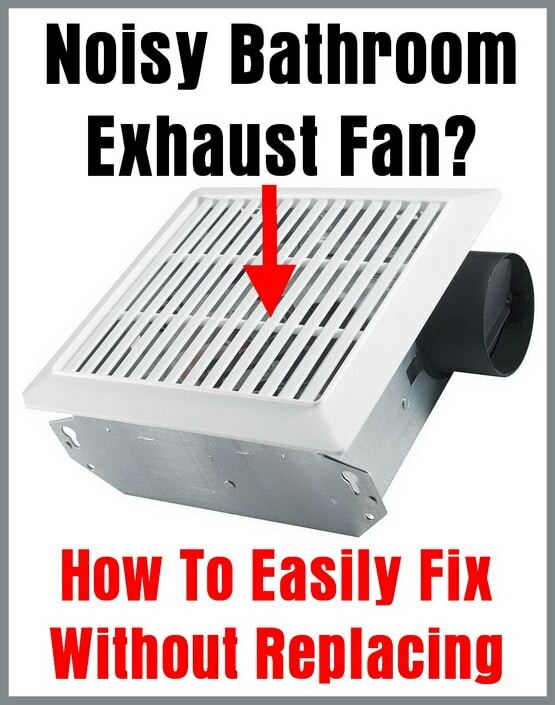 If you are in need of replacing the complete vent fan with housing, please see here for How to replace the fan housing on your bathroom exhaust vent. See below for a step-by-step method to stop your bathroom exhaust fan from making noise. Use a canister vacuum and remove ALL dirt and dust that is in the vent housing and and on the fan blades or blower wheel. After removing all the dirt and dust, test the vent by turning it back ON. If the noise is now gone and the bathroom exhaust fan is quieter, the problem is fixed. If after cleaning out the bathroom exhaust vent and fan or blower wheel, you will need to adjust the fan or blower wheel. Turn the exhaust fan ON and look at the fan blade or blower wheel with a flashlight to find out where it is hitting. Once you have found where the fan or blower wheel is hitting, turn the exhaust fan OFF and adjust the fan blade or blower wheel with a flat screwdriver. Once the fan blade or blower wheel is spinning properly and no longer making noise, use a small drop of lubricant on the motor shaft as this part can squeak and cause the noise. Once your bathroom exhaust fan is free of dust and dirt and no longer making any squeal or loud noises, put the clean vent cover back in place. Turn ON the exhaust fan switch and the fan should be just like new and no longer making noise. NOTE: When you are working in the exhaust fan and you are vacuuming out the dirt, adjusting the fan, adjusting the blower wheel, or lubricating the shaft, be sure the POWER IS OFF for safety. 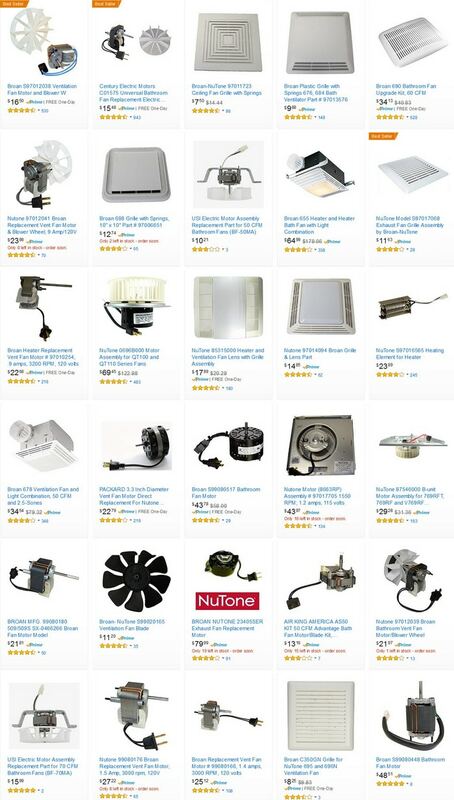 Do you need help fixing your bathroom exhaust fan, stopping noise from your bathroom exhaust fan, or replacing your bathroom exhaust fan, please leave your question below and we will be more than happy to assist you. Braun fan started squealing like an alarm sound both when switch is on or off. What to do. Is it safe. I have a Panasonic ceiling fan in our bathrooms. The newest one is making a noise at the switch. There are 4 timed options and when any of them are pushed it makes a loud continuous noise. The fan runs but the noise is pretty bad. Previous post: How Do You Reset A Garbage Disposal?